Um, hello! Sorry for the lack of posts during May. I have no good excuse for the unexplained absence other than my laziness and my smart phone. And I totally blame my smart phone for the dramatic lack of interaction with my pc. My phone has everything! Word with Friends. A knockoff of Bejeweled. Facebook. Google. If I need to look on the web for something, I turn to my phone first. Sorry, computer, but that’s how I roll. And because I haven’t blogged, I haven’t even read my sisters’ and other friends’ blogs. Yes, I am that selfish and lazy. Even my sister, Becky, logged more hours on her blog. 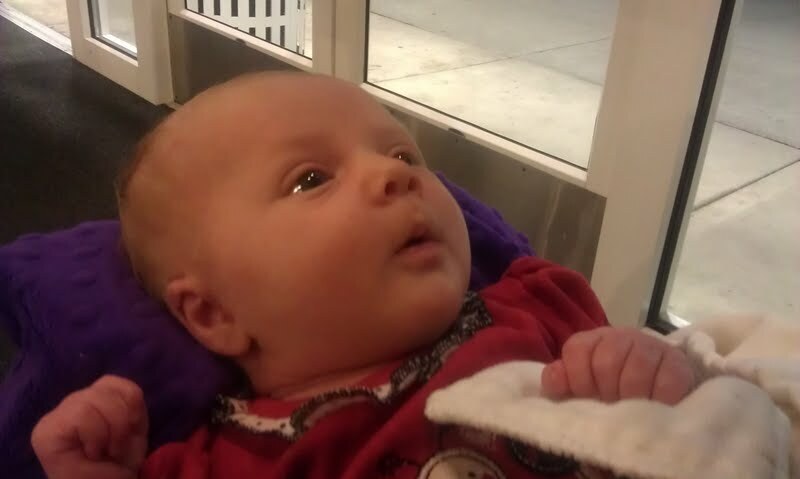 Although her in defense, she had a baby girl toward the end of March and has much to write about. MEET SHELBY: Meet the newest addition to the family, Shelby. Isn’t she adorable? I love her so much, and I love holding her. She’s just so cute and adorable. I don’t know how my heart can handle all this love and adoration. On a tiny little tangent, I often wondered how and why other bloggers left huge gaps between their posts. I always thought, “Wow, your blog most not be that important to you.” Or “You should write something.” Or “How can you let this happen? Don’t you know you need to write more often on your blog to keep you friends and family coming back for snippets of your life?” I am now one of those bloggers. I took an excused absence toward the end 2011 to the beginning of 2012 — did you read that? Excused absence. But I have no excuses for not blogging in May other than I’ve been kind of busy and lazy. 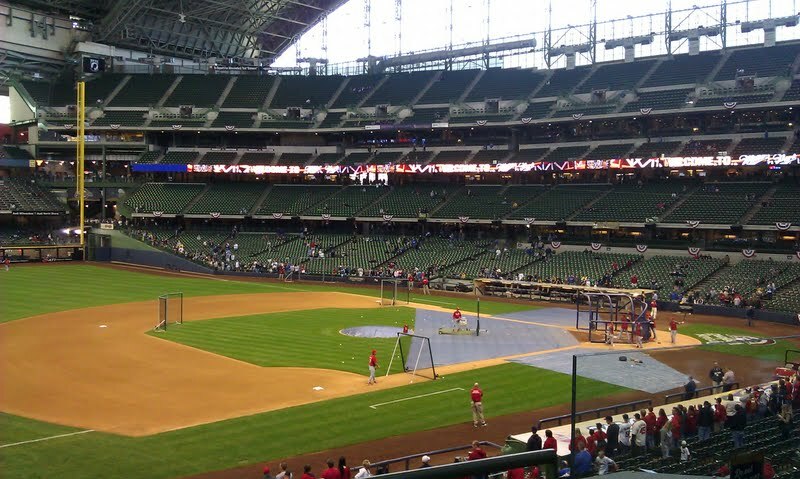 BREWERS OPENING WEEKEND: The amazing view Charlie and I had during our first Milwaukee Brewers game in early May. I loved the whole experience. The icing on the cake? The St. Louis Cardinals won! Woot! So instead of bombarding you with my life in May, I’ll probably post short — or not — recap posts. In May, Charlie and I traveled to Milwaukee and watched the St. Louis Cardinals cremate the Milwaukee Brewers. Woot! The victory made me happy. Charlie was not too happy. I traveled to Rochester often to visit my parents and to celebrate my dad being in the Lutheran ministry for 40 years. I worked on a ton of various projects, which I will post later. And I returned to work on a temporary basis. And I miss my mom terribly and continue to process and cope with the frequent changes affecting her. Anyway, if I could write long posts on my phone I probably would, but I’m not really fond of the tiny little keyboard for long messages. Charlie and I are headed to Wood Lake, Minn., for Shelby’s baptism, and I look forward to seeing the entire family again. Plus, I love being out on Becky’s farm with all the animals — even the cows.